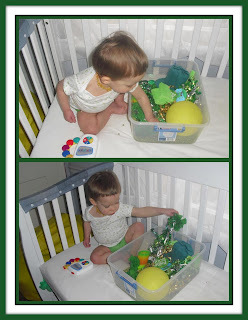 This week I introduced JJ to his sensory box. He has been really enjoying it. 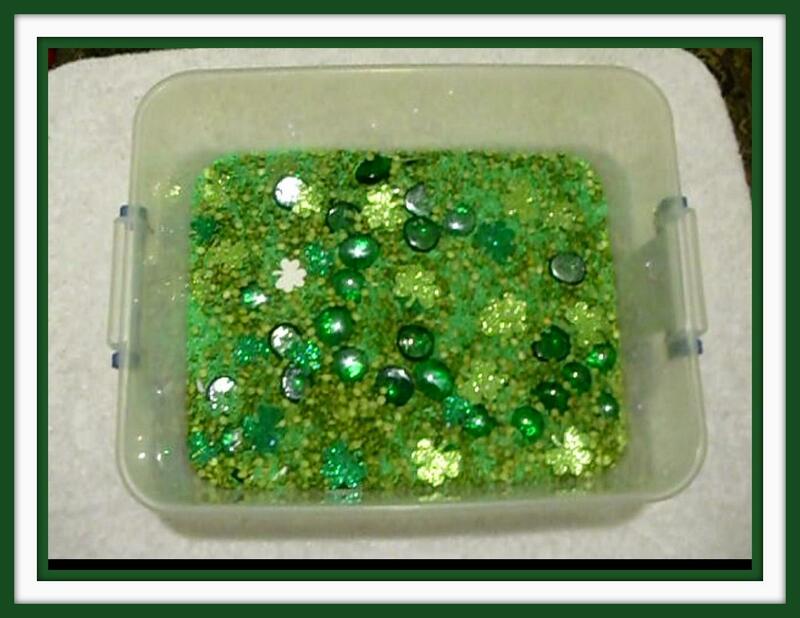 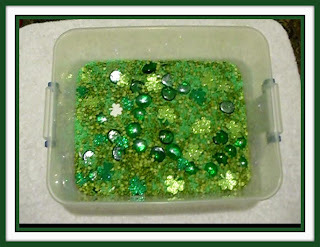 The base of the box is green dyed rice, split peas, textured stickers and these little glass pebbles that he has wanted since he was first old enough to walk around the dollar store. 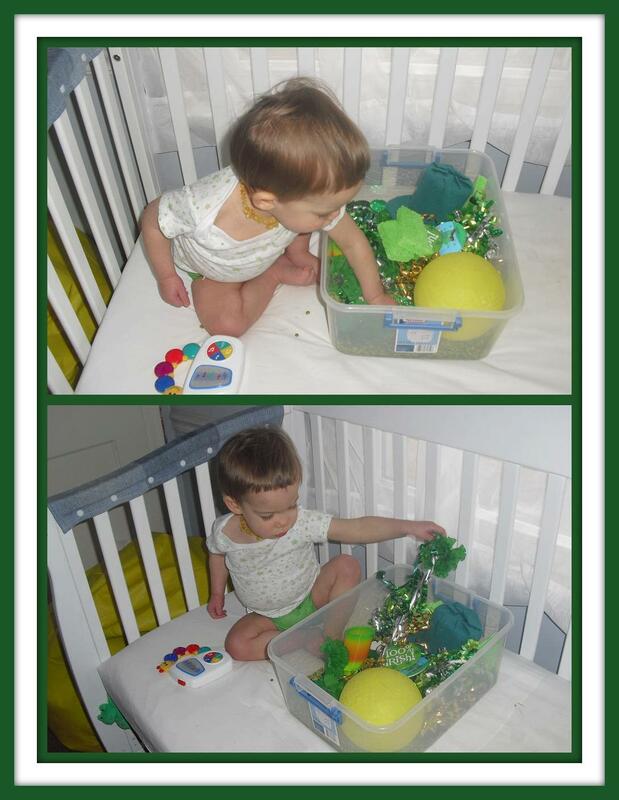 I hedged about getting them for him, but he has been very good at not putting things from his sensory box in his mouth. 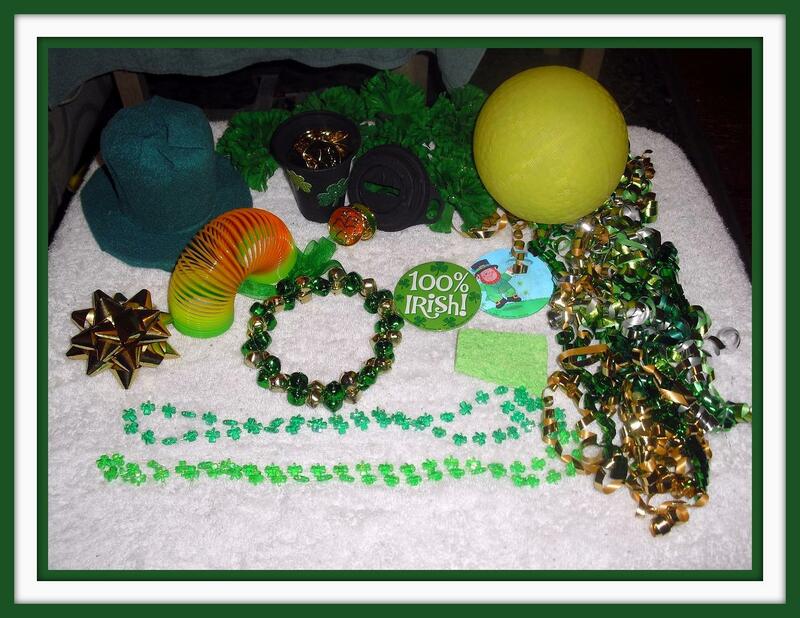 Besides he is only allowed to have it with strict supervision. 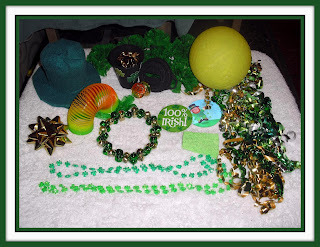 Check back later this week as I post more St Patrick's day posts. 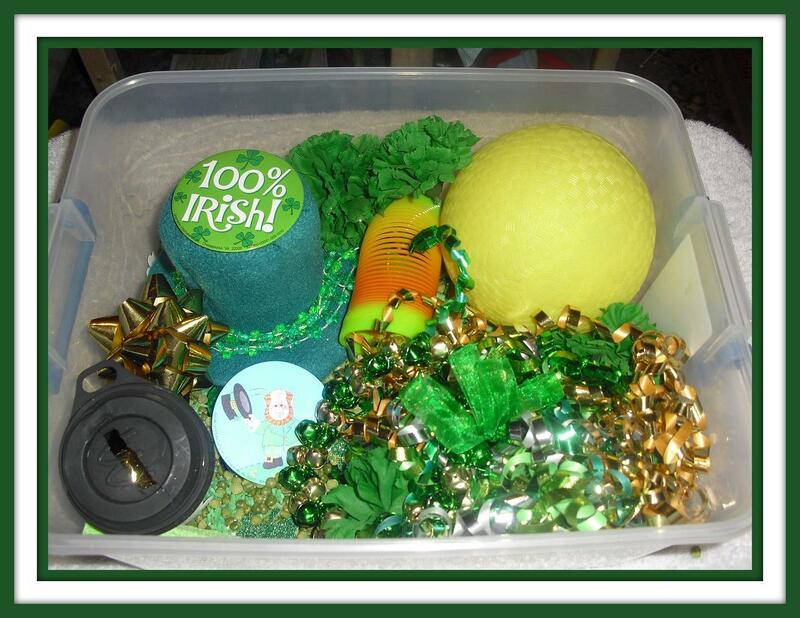 Including Rainbow crafts and St Patrick's day meals.